On the 25th of April 2015, a 7.8 magnitude earthquake affected the Gorkha region of Nepal. Lost Earth Adventures pledged to provide both immediate relief and rebuilding of a local primary school. 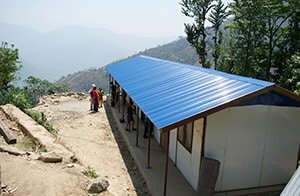 With help from our clients and our own funding, we provided emergency relief, food rations, temporary shelters and built a new school with stronger materials – a safe place for children to learn in. 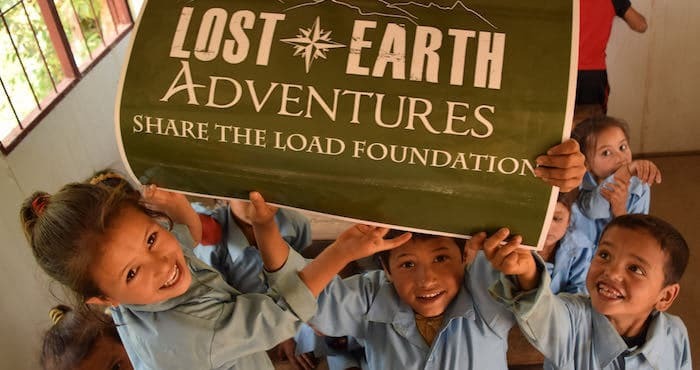 Follow the story in our new video, revisiting Lost Earth Adventures’ journey across Nepal to rebuild the school from beginning to end, proving that charity can be an adventure in itself. 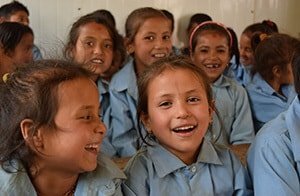 The Shree Krishna Primary School in Nepal was one of many schools affected by the earthquake, located in the village of one of our Nepal cycle guides, Ron. 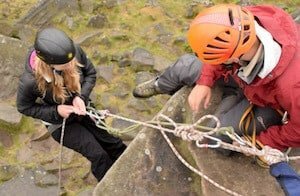 In June of 2015, we set up an abseiling charity fundraiser with prolific climber Johnny Dawes, raising over £3000 to help rebuild the school, in which we abseiled the collective height of Kathmandu (1400m) at Stanage Edge in the Peak District. By December, we had started delivering building materials, and had raised the £8000 needed to rebuild the school. We took no wages from this amount and absorbed 100% of the administrative and planning costs. We ensured the full amount of money was used in providing relief and building the school. With our guides Ron and Rhajan, we cycled a round trip of 150km to the school to oversee the start of the building. Within 10 months, the school was completely finished, fitted with new facilities, school uniforms and supplies. 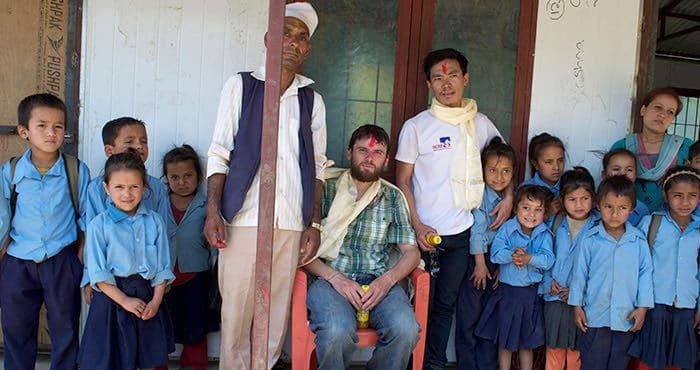 It was no easy task, and made us appreciate how difficult it was for families in Nepal to rebuild their lives. We would like to thank all of our clients who made this happen. Without your help, we wouldn’t be able to return a safe and fulfilling education to the children. We believe that charity can be an adventure. If you want to kick-start your own charity challenge or event, check out our Challenges and Events for Charity and start fundraising for your chosen cause now.